The setting for the musical, staged at the Museum of Jewish Heritage and overlooking the Statue of Liberty, is particularly poignant. 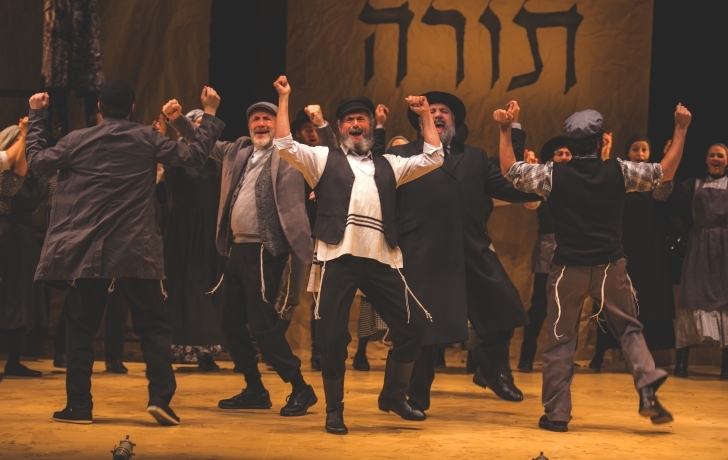 When the stories evolved into the musical "Fiddler," there was a major plot change with Tevye’s family immigrating to America. It was an important shift, wrote historian Matthew Frye Jacobsen in "Roots Too: White Ethnic Revivial in Post-Civil Rights Amerca," catching a cultural wave of liberal tolerance at the height of the Civil Rights Movement and shifting the locus of America’s origins story from Plymouth Rock to Ellis Island.